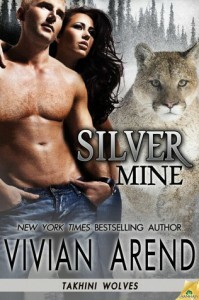 I jumped on the chance to read an ARC of Silver Mine when Vivian Arend posted about the opportunity on her blog. And I am glad I did. This book was Vivian Arend at her best.This book took place in Whitehorse and in the wilderness in Yukon. I loved the tiny details in small town life. 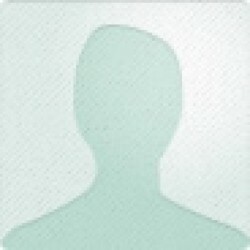 From how everyone knows everyone, to the layer of secrets that existed beneath the surface. But, I loved the descriptions of the wilderness more. It tugged at something within me, and made me long to walk along the path that led to Chase cabin.When it comes to the characters, I loved how Chase and Shelley reflected each other. They were both outcasts, but it very different ways. Shelley's wariness towards re-joining the Takihini pack made sense. Sometimes, I wanted to smack the old Takihini Alpha. This also affected their relationship. The attraction was there, but Shelley fought it. It was nice to meet the Takhini wolves again, but my favorite characters were the outcasts. They were grumpy, and had their bad sides, but all of them had a heart of gold.But what made the book for me was how it showed that shifters isn't perfect. When Chase got wounded he shrugged it off, but the tension and worry gradually increased when his wound didn't heal. More, I liked how it was gradually revealed that the infection didn't just affect him, but it threatended all shifters. And that it affected shifters differently. Some it affected mentally, and some it affected physically. I cannot say that there was anything glaring that I disliked with this books, just a few typos.